Every once in a while a guy- a Vet, mind you, sends you something priceless and slightly risqué. It’s the essence of what you are by hormone. You strive to exert back pressure against the immense tug of your Tourette’s syndrome. You are inexorably compelled to by someone in control of your lips and tongue. Yeah, me. Okay, but it does embody that singularness that infects a large number of my era of Veterans-most especially Marines. This is what we fight anyone for. 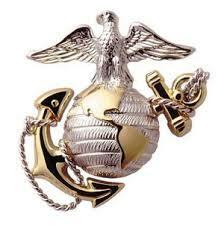 Friends, enemies- hell even fellow Marines. Add some alcohol and it simply develops a better plot line with more characters. This entry was posted in Humor and tagged ASKNOD BOOK, asknod.org, asknod@wordpress.com, HCV Veterans, HCVETS, Helping Veterans, Veterans Benefits, Veterans claims help, Vietnam Veterans Claims Help.. Bookmark the permalink. Hilarious, thanks for the laugh.